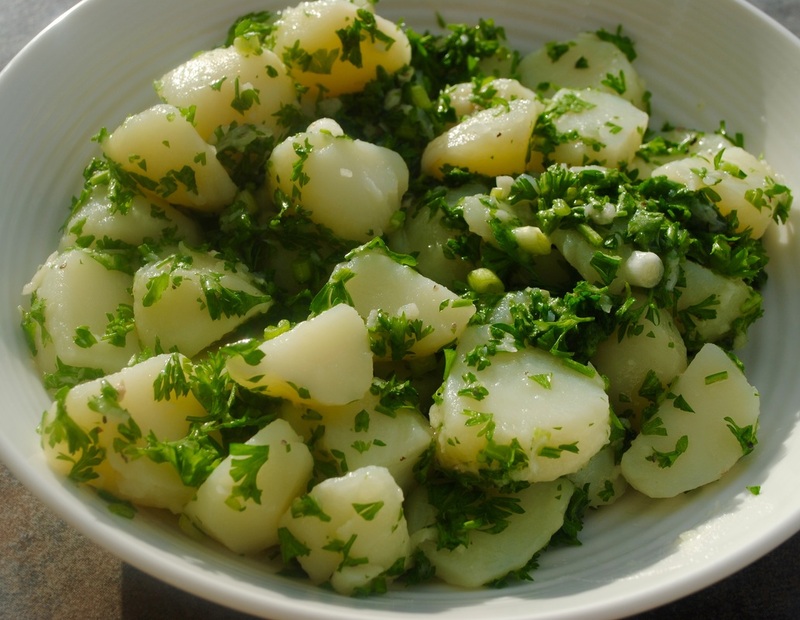 Looking for a healthier potato salad? Try this recipe! In addition to being healthy and light, this salad is also refreshing and super tasty. It’s served chilled and makes a great side dish in the summer! You can cook it the night before you plan to eat it and refrigerate it, or cover and refrigerate it right before dinner time (or lunch). Let’s begin!